Newf Friends is a division of HART, registered charity #83739 0749 RR0001. Your donation to HART's Newf Friends Fund will be earmarked for use solely on Newfoundland Dogs that Newf Friends brings into HART's care. This is a separate fund within HART that has been created especially for us. The simplest option for making a donation is to email transfer your donation to us at newf.friends@gmail.com Please include a note specifying what or who the donation is for (if it's for a particular dog or initiative) and include your mailing address for us to mail your tax receipt. To donate online if you are unable to email transfer or use paypal, visit our Canada Helps page -- remember, we are a division of HART so the page will come up showing that information. 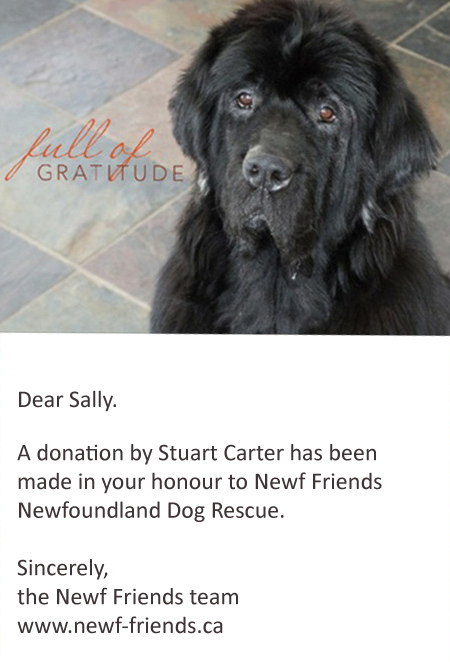 No worries, the funds come to us for use towards Newfs, just select Newf Friends Fund from the drop down menu to earmark the funds for our division. A tax receipt will be emailed to you immediately. 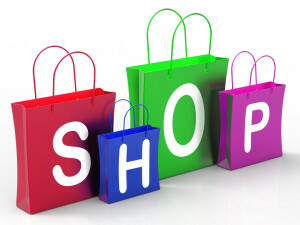 Donations can be dropped off in person at a few locations in Ontario, please email us directly if you would like to make a cash donation and we will direct you to the nearest drop off spot. A tax receipt will be issued for donations over $20. Thank you for your support! Visit our Online Store to find all sorts of unique Newf Themed items designed exclusively for Newf Friends! 100% of the proceeds go directly to our rescue!